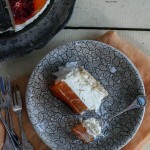 Today’s recipe for a No Bake Yoghurt Cheesecake is a contender for one of my favourites. It can be made for one or for many, has the goodness of probiotics and since there is no baking involved, it’s perfect for summer entertaining. With easily customisible flavours too! Did somebody say cheesecake? I’m a fan! Whether it’s a replica of Sydney’s best baked ricotta or baked sugar-free yoghurt cake, I love them all. Today’s recipe for a No Bake Yoghurt Cheesecake is another contender for a favorite. It’s actually a recipe I’ve adapted from one of Mum’s. She makes her’s using mascarpone but since I always have a full tub of this amazing and pure Greek-style yoghurt at home, full of probiotic goodness, I thought I’d use that instead. Mum also normally uses plain biscuits and strawberry jelly. That, I find, is a matter of taste, season and personal preference. For a gluten-free and less sugary version you could omit biscuits altogether and opt for a wholly coarse nut meal crust. While you can leave the whipped yoghurt filling plain and mostly unsweetened, I had some leftover Tropical Jam – a new soon to be released addition from the Anathoth range (and a surprisingly perfect choice for making pineapple fried rice! ), which worked a treat paired with a natural mango and orange jelly. 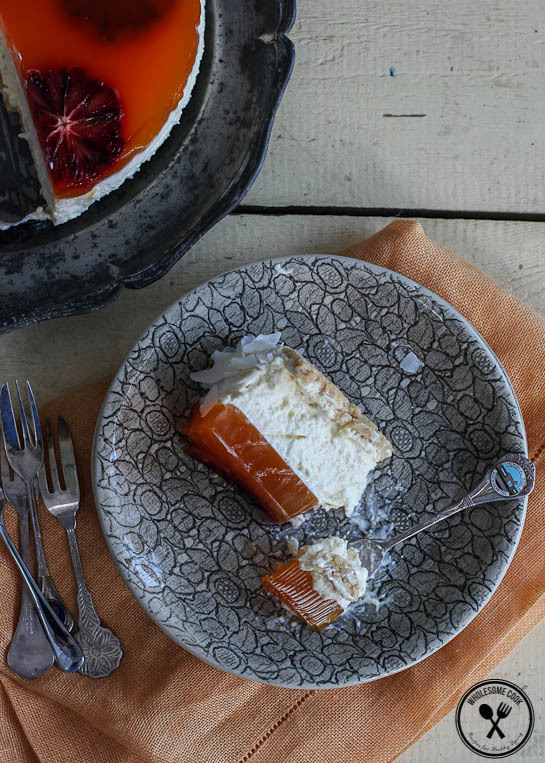 Slices of blood orange and a handful of coconut flakes completed this summery dessert. For a much quicker version, when unexpected guests decide to pop in for lunch or if you don’t want to use jelly at all, it’s pretty simple to make single-serve portions of the dessert, too. The other week I made the whipped yoghurt cheesecake filling which I set on top of a nut meal and toasted coconut in glasses. Portion control and a cute serving idea in one. Very rustic too. Of course, you could top them with jelly if you had time for them to set. If making a large cheesecake in a spring form tin I recommend adding the jelly layer. Other flavours and fruit can be used - berries and peaches are great. Prep time is 20 minutes plus 2-3 hours chilling. 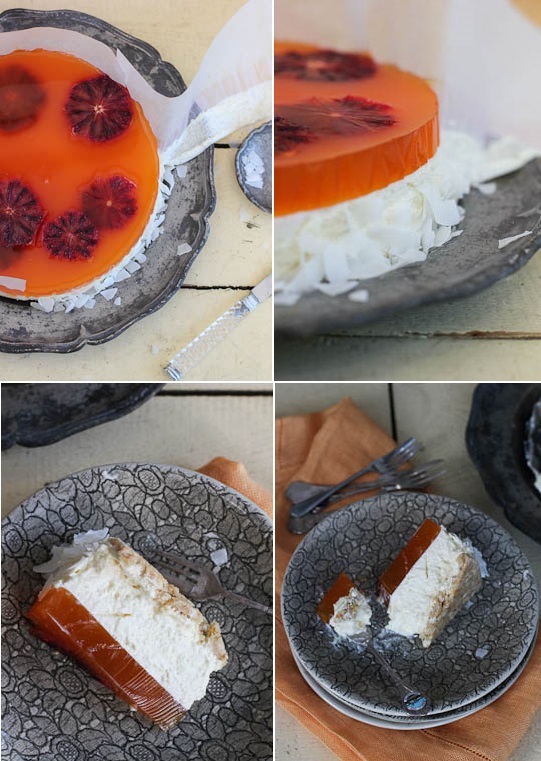 For a vegetarian version: try using agar agar powder to set the cheesecake and jelly made from water and juice, about 3/4 of the recommended dose should give you a softer finish. For single-serve portions: you can omit the jelly altogether if you wish. Use crushed pistachios for the base. Prep time is about 10 minutes, plus 20-30 minutes chilling time. For a less sugary version: you can leave the whipped yoghurt filling plain and mostly unsweetened. Line the base of a 24cm spring form tin with baking paper. Grease the sides with extra butter and stick strips of baking paper around the sides, overlapping multiple pieces by about an inch if too short. Process almond meal with nuts and butter until fine crumbs form. Press the mixture into the base and chill in the fridge to set. Mix milk or water with gelatin powder until fully dissolved. Set aside to cool slightly. Place yoghurt, cream cheese and jam in a bowl of a mixer and "whip" on medium high speed until the cream cheese is incorporated and the mixture light and fluffy. Add cooled gelatin and continue to beat on high for a couple of minutes. Pour the filling into the prepared tin. Leave in the fridge for about an hour to set. Prepare 2 cups worth of jelly. Set aside to cool slightly. 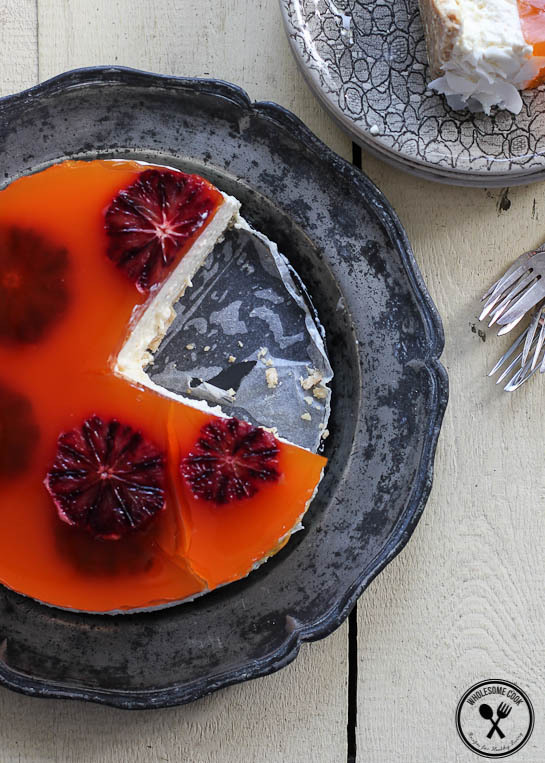 Arrange orange slices on top of the cheesecake filling and pour over enough jelly to just cover the fruit. Return to the fridge to set (about 20 minutes). Pour in remaining jelly over the top and chill until set. Remove the cheesecake from the fridge. Remove the spring form ring and baking paper from the sides. Stick some coconut flakes, if using, to the sides of the cheesecake. Slice and serve. Sounds delicious and healthy. Do you ever make you own yogurt? I haven’t made my own yoghurt yet (can you believe it??). I often buy organic yoghurt from the markets or the framers union one I mentioned in the post. I’ve strained bought yoghurt before but will have to try making my own. Do you make your own? Any good tips? .I do make my own yogurt. I get cultures from http://www.greenlivingaustralia.com.au. I use 2 cultures usually.The Probiotic and a Yogurt culture. Use good milk too. Raw milk is best but hard to find. A2 is good. You probably know about Green Living as they sell cheesemaking stuff as well. Oh my, doesn’t this look attractive and it’s good to know it’s full of healthy things. I can’t wait to give this recipe a try, tomorrow is EID so this would be perfect. Since I make my own yogurt, and boy do we eat a lot of it, this is such a healthy way to enjoy cheese cake. Thanks a million, and I really mean that. Hi Michelle, I buy the Farmers Union yoghurt. It is super thick and creamy with no thickeners or anything. It is quite tangy, but with the addition of jam and jelly, the tanginess disappears a little. I just made these awesome cheesecake with homemade yoghurt! Homemade yoghurt is the best the so easy to make! Wow.. 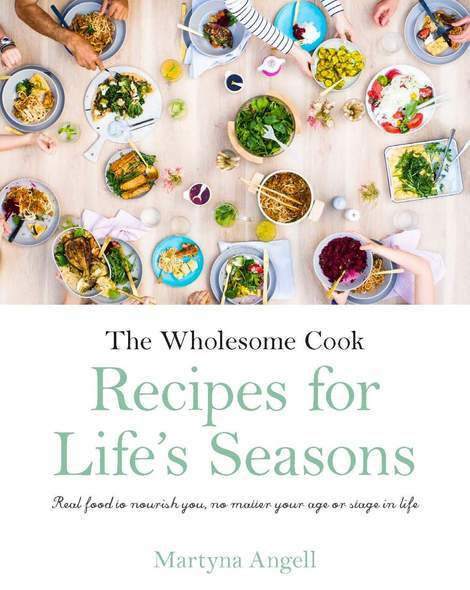 This looks perfect for Christmas! Yumo! Do you think I could use 100% natural yoghurt strained overnight instead of the cream cheese? Will it be ok/nice if I use it as a filling of hazelnut n choc.mud cake??? Will appreciate any tips, suggestions or brands. I generally make my own strained yoghurt cream cheese from natural full fat Greek Yoghurt – there’s a recipe on the blog if you type cream cheese into search. Otherwise, full fat Philadelphia is one of the better options at the supermarket. I’m sorry to be brief, I’m about to board a plane – let me know if you need any further assistance and I will only be happy to help. Hi! I wanted to make this but serve it in little cups – do you think I could forgo the gelatin in that case? Thank you! Hi! If you are not going to “turn them out but serve them more like a dessert in a cup then you probably can forgo the gelatin. Although it is very good for you, epsecially if you get a grass-fed kind like Great Lakes.